Rent apartments and chalets in Jardín del Mar Playa, Spain with swimming pools. Book affordable holiday rentals that are near a beach. 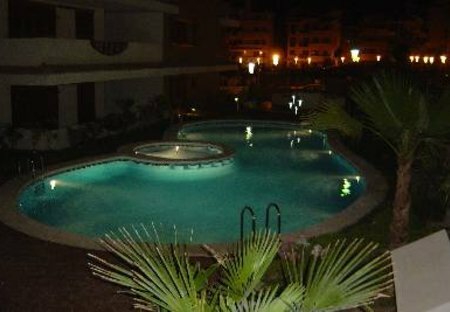 This charming apartment is located on the Orihuela Costa, in a wealthy residential area near the beach. The apartment is bright and tastefully decorated with marble countertops and stylish stools. This 3 bedroom chalet with shared pool is located in Jardín del Mar Playa and sleeps 6 people. It has WiFi, a garden and parking nearby. This 1 bedroom apartment with shared pool is located in Jardín del Mar Playa and sleeps 4 people. It has WiFi.